On the hunt for a house near Scott Air Force Base? If so, consider browsing around O’Fallon, Illinois. A growing community east of St. Louis, O’Fallon is about eight miles northwest of Scott AFB. 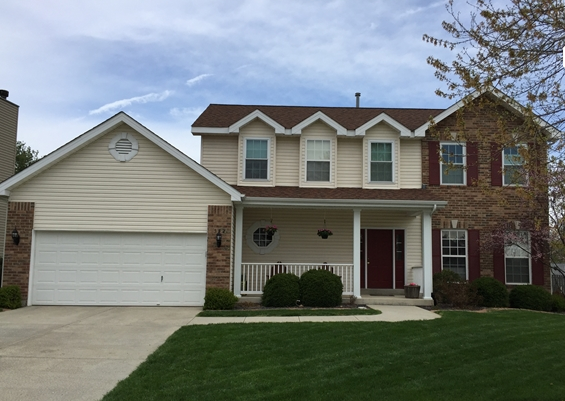 As listed for sale on MilitaryByOwner.com, these homes in O’Fallon showcase military family friendly neighborhoods. 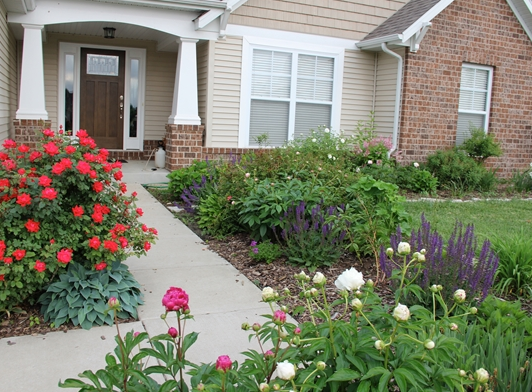 Surrounded by flourishing flowerbeds, this property offers a wide variety of colorful perennial blooms. Relax with family near the roses. Putter with friends by the peonies. Linger with loved ones around the landscaped yard. The worries of your busy day may float away on the evening breeze. 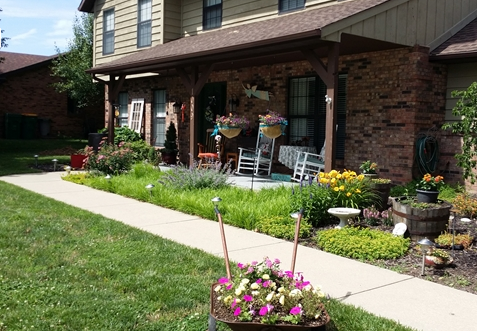 Many homes in the O’Fallon area offer additional living space on the lower level. This 4 bedroom, 3 bath home includes a bottom floor with 9-foot ceilings. Downstairs, you’ll find two bedrooms and a full bath. The rest of the basement is a blank canvas. Children’s play room? Arts and crafts area? Library or den? Man cave? A buyer can turn the unfinished space into whatever they wish. Popcorn. Candy. Drink. Ready to watch the newest blockbuster! Oh, and don’t forget fuzzy slippers and plush blanket. That’s right! Enjoy a movie theater experience within the comforts of your own home. Just down the stairs from the main level of this four bedroom, four bath home, you’ll find a high definition theater room with surround sound, perfect for family movie night, video gaming, or cheering on your favorite team on game day. Along with a premium home theater in this finished basement, you may feel like a movie star with the tile and granite details of the full bath and wet bar. But wait, there’s more! This lower level also includes a storage area that could double as a workshop.The living space continues with a patio area just outside. Surrounded by lush landscaping, it’s easy to unwind in the serene setting of this O’Fallon property. No Hollywood movie magic needed! Ideal for a busy family, this property is within walking distance of excellent O’Fallon schools. With that in mind, this home may become the central location to gather for after school or weekend activities. The spacious recreation room behind the garage is a welcoming space for family birthday parties, Girl Scout or Boy Scout meetings, arts and crafts projects, or bunco night with military spouses. When not hosting activities in your handy multipurpose room, you may gravitate towards the garden. Chill in a comfy chair on the front porch admiring the bountiful blooms. Savor the peaceful oasis of the pretty perennials around this 4 bedroom, 2.5 bath home. From season to season, family-friendly activities abound in the area surrounding Scott AFB. From sightseeing in St. Louis to berry picking in Belleville to playing at the O’Fallon Family Sports Park, there are plenty of options for entertainment. If you're PCS'ing to Scott AFB, navigate the housing market with the easy-to-use search home search tools on MilitaryByOwner. And don't miss the neighborhood reviews for Scott AFB on Military Town Advisor. With helpful online resources and lovely listings like the homes highlighted here, your search for a new home may be as easy as a stroll along the Katy Trail!